In this amazing video, you see a floating dock build by the Volcom team on a surf break in Bali, and the Professional surfers of the team (such as Ozzie Wright or Noa Dean) having way to much fun on the apparatus. 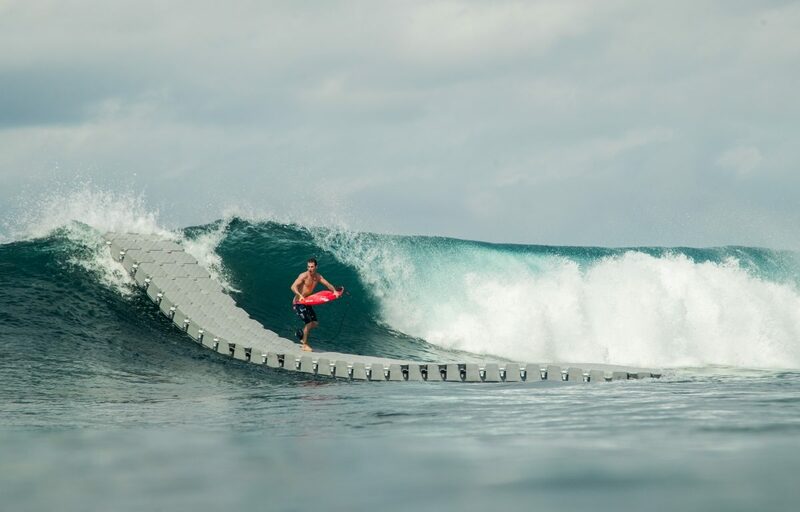 The dock is 30 meters (100 feet) long, weights half a ton of plastic, and met a premature end before long, confronted to the power of these waves. The result is indeed mind blowing, and hopefully it will inspire the creation of a more permanent structure on a nice, small, beach break for beginners.